In the beginning, two people throw a person over the side of their boat, into Victoria Harbor in Hong Kong. Next, we find Thomas and his wife at home, living a happy life with few problems. Thomas is doing very well at work, and life is good. Until he gets a visit from his best friend's aunt, who tells him his friend's wife is cheating on him. She asks him to talk to his friend about this. But Thomas hesitates, and soon it's too late when he finds his friend dead. Thomas ends up on the run from the police, while trying to figure out what is really going on. What is real and what is an illusion? 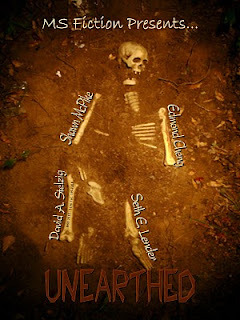 Edmond Cheng weaves an intricate mystery in this 27,000 word novella, which appears with three other stories in Unearthed: An Anthology of Suspense. It is a complex, and somewhat confusing story, with lots of twists and turns. I felt like I never really knew the whole story, even at the end. But it was an interesting mystery that kept me reading. The story is written in English, which is not Cheng's first language. And this is very obvious throughout the story. As a professional editor, I thought this would bother me more than it did. I actually found it interesting to see his word choice and the way he described things. I think the story would be appealing to more Americans if it were edited by someone who does speak English as a first language. But it was still interesting to read. If you're looking for something different, and enjoy mysteries, check it out. This review was written based on a copy of Illusion that I received from the author.